Intermittent pneumatic compression (IPC) is an attractive method for prophylaxis of deep venous thromboembolism (DVT) because there is no risk of haemorrhagic complications. However, IPC has not been studied as thoroughly as other methods in orthopaedic and traumatologic surgery. 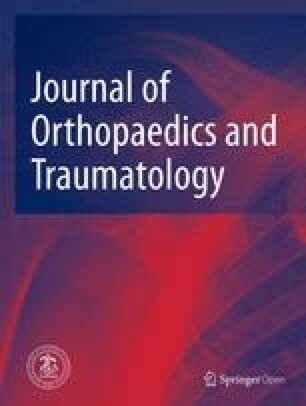 We monitored 328 patients undergoing total hip or knee arthroplasty (THA, TKA) treated with combined pharmacological and mechanical prophylaxis or with pharmacological prophylaxis alone, with pre- and postoperative colour Doppler ultrasound. Prevalences of DVT after THA (4.0%) and TKA (3.2%) were similar, even if the absolute prevalence was lower in the groups given combined prophylaxis. IPC has an important role in preventing postoperative DVTin these patients and reduces the progression from post-thrombotic syndrome (PTS) to DVT.